LASOONA is a Pushto word, literally meaning ‘HANDS’. LASOONA: Society for Human & Natural Resource Development is a national, multi-disciplinary, development focused, non-profit organization. It was established in 1997 by a dedicated and visionary group of motivated and civic-minded people with a passion to support human and natural resource development in vulnerable and impoverished areas of Khyber Pukhtunkhwa Province and Newly Merged Districts (formerly FATA). Registered as an NGO under Societies Registration Act, 1860, LASOONA is also certified/accredited by Pakistan Center for Philanthropy (PCP), and has a tax exemption status from Federal Board of Revenue, Government of Pakistan under Section 2(36) of Income Tax Ordinance 2001. In KP (KhyberPunkhtunKhwa), LASOONA is a role model institution, recognized for its pioneering work for the conservation, promotion and sustainable management of natural resources at community level in ways that can lead to livelihood security. In the wake of both natural and human made disasters, LASOONA has also demonstrated leadership in Disaster Risk Management and Climate Change as thematic foci to reduce the risk of future calamities. In its 20 years of implementation, LASOONA has worked dligently, and with spirit, to serve humanity with no discrimination on the basis of gender, caste and creed. LASOONA’s core philosophy extends beyond ‘community participation’. As a strategy, it aims to make the recipients or beneificiries of development active contributors, capable to lending a ‘hand’ to others in need. Through its ‘Social Guidance Approach’, LASOONA has created a cadre of selfless, honest and dedicated volunteer activists from within the community, who, in turn, are given the responsibility to lead their community. As an organization, LASOONA therefore has an institutional base that gives it a competititve advantage, and the ability to expand multifold. - Of being an innovative organization, with the capacity to expand thematic areas as per the need to the community, e.g. earthquake, conflict and flood disasters. - Of placing the deprived and marginalized segments of the society at the core of its development strategies. - Of being an organization that is interested in promoting sustainable solutions to the deepening and growing poverty inherent in the social, political and economic sectors. - Of committing to the wellbeing of masses through promoting ecologically sound development in remote and impoverished pockets of Pakistan in general, and Khyber Pakhtunkhwa and FATA, in particular. - Of having created strong linkages with local and international NGOs and donor agencies. These INGOs consider LASOONA as their trusted implementation partner in Khyber Pakhtunkhwa. 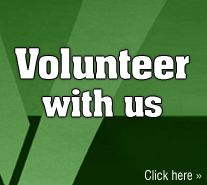 - Of creating a team of dedicated volunteer activits from within the community, that are today leading their communities.